Cosmetic dentistry is the branch of dentistry that usually focuses on improving your teeth’s aesthetics by fixing minor tooth imperfections. This includes misalignment, discolouration, and cracks, among others. At A Plus Dental, our cosmetic dentistry extends to improving your face profile through safe injectables. Read on to learn more about our cosmetic dentistry options. Dento-facial aesthetics is more than just cosmetic dentistry and smile makeover. It is a ground-breaking field of dentistry that combines facial rejuvenation with cosmetic dentistry. 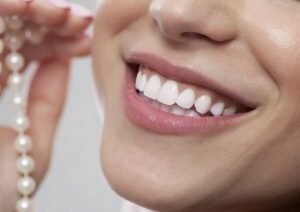 Dento-facial aesthetics uses safe and minimally invasive techniques and methodologies to restore the appearance of your teeth, as well as the texture and quality of your facial skin, as quickly and painlessly as possible. 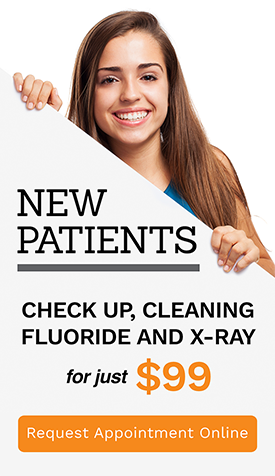 Gone are the days of filling your treated cavities with silver or amalgam filling. Today, you can improve your smile with the help of tooth-coloured fillings. At A Plus Dental, we repair cracks and decay in your teeth using our natural-looking white fillings. White fillings are made of composite resin, which resembles the natural shade of your tooth and enhances its overall appearance. The NEW Philips Zoom WhiteSpeed is the most scientifically advanced teeth whitening procedure applied chairside at your dentist’s office. It’s ideal for anyone looking for immediate results, and now with the most advanced LED whitening technology from Philips, the results are even better than ever. Philips Zoom is not only proven to whiten teeth up to eight shades, it’s also safe. While other whitening products can harm teeth and gums, using Philips Zoom with Relief ACP gives you greater lustre and protects enamel. Teeth discolouration can be caused by a variety of factors, including coffee and wine drinking, the use of tobacco, and the natural progression of age. At A Plus Dental, we can restore the whiteness of your teeth during your first visit! Though teeth whitening is a non-invasive procedure, not everyone may be right for the treatment. Thus, your dentist will first perform an examination to see if you’re a good candidate for bleaching. If your smile suffers from discolouration, gaps, or cracks, porcelain veneers may be the perfect option for you. At A Plus Dental, we are proud to offer natural-looking and durable veneers fabricated to dramatically enhance the appearance of your smile. For minor dental issues, dental bonding may be the right option for you! Dental bonding is attaching a tooth-coloured resin material on the surfaces of the damaged tooth to correct minor imperfections. Your dentist will use a tooth-coloured material that matches your natural tooth shade so well it is nearly impossible to tell that bonding has been applied. Dental bonding only takes about 30 minutes to complete. It is also one of the least expensive cosmetic dental procedures. Typically, orthodontic treatment consists of the application of small ceramic or metal brackets to the teeth. These brackets are attached to an arch wire which helps shape the teeth. Often springs and rubber bands are also used to help move the teeth. Invisalign is a very popular treatment in the field of cosmetic dentistry and orthodontics. It’s one of the advanced tools in improving your smile. With Invisalign, you can get straighter teeth without the look of traditional metal braces. Invisalign are custom-made to suit your smile perfectly. Because the aligners are nearly invisible, no one will notice that you are wearing them! Achieve your dream smile with cosmetic dentistry options at A Plus Dental. We’d love nothing more than helping you towards the smile you deserve.